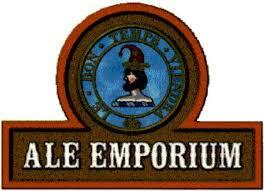 Ale Emporium’s victory for best sports bar has a little to do with the TVs and beer, but a lot to do with their wings. Served by the pound and fall off the bone delicious time and time again. These wing will dry rub you the right way. They've got pizza and "Hermanaki Wings" — thanks, Herman? — and they tell us: "Before the endless number of TVs, projections screens, patio, bands and tripling in size the Ale was know for its pizza, great beer selection, wings and great bar food. Today that tradition carries on. If you have never visited us you are invited to stop in and try our award winning menu." In honor of Indy Wings Week, we visited Ale Emporium, Keystone Sports Review and Chatham Tap to remind ourselves why it's impossible to pick an absolute favorite. It's 4/20 and that means you just might have the munchies. Here is a guide to Indy to take care of all of your cravings for the day. You may have to dodge a few thunderstorms, or find refuge indoors, this weekend. Either way, we've got a list of 10 great things to do around town with everything from symphonies to vintage movies. No matter which side of town you are on, there are hip new joints, historical mainstays, and everything in between that can give you some of the most unforgettable meals in the city. From fresh, tasty Hawaiian poke to messy, smokey barbecue Indianapolis has plenty of new places for you to chow down. The beer won't be available in Indy just yet, but it is a reason to make a road trip north. Indianapolis is in proximity to tons of interesting and exciting one tank trips. We've tried to make it a little easier to make the most of those trips with out guide. Here are our picks for great dining around the Northside's favorite malls.